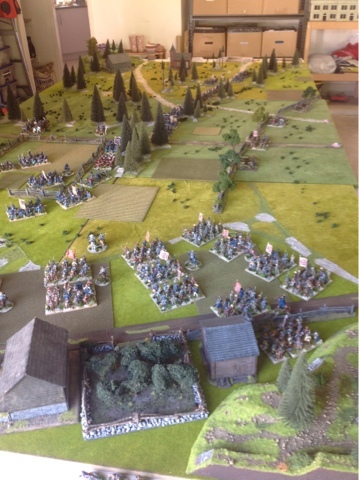 Gotten back into ACW using the excellent Regimental Fire and Fury rules. 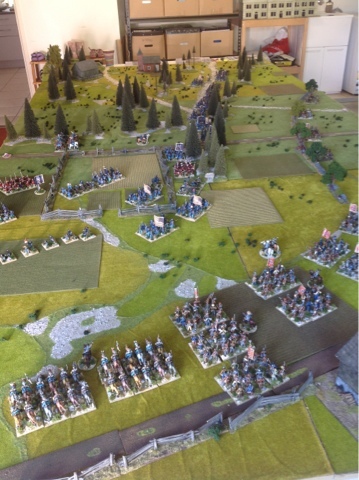 Considering I have over 1200 nicely painted metal and plastic Perry miniatures this is probably a good thing. 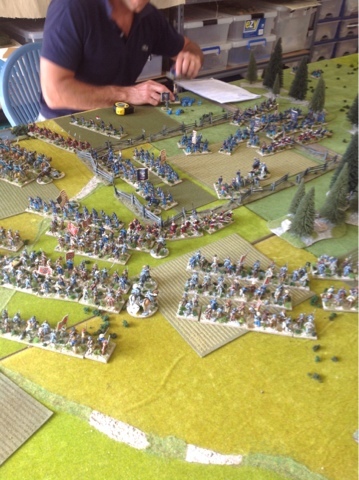 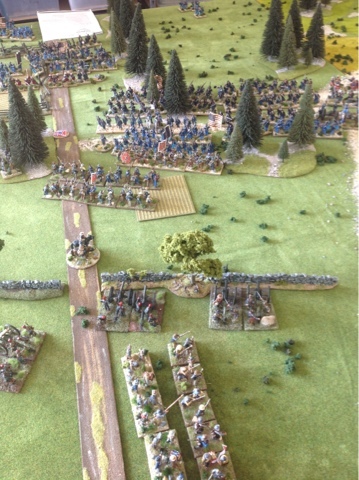 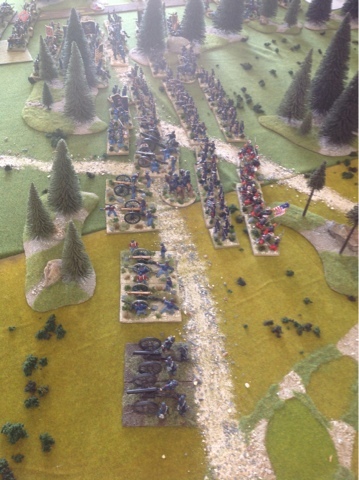 Here are some pictures of some pictures of a large ACW gameearlier this year using Andrew Parr's quick play rules.